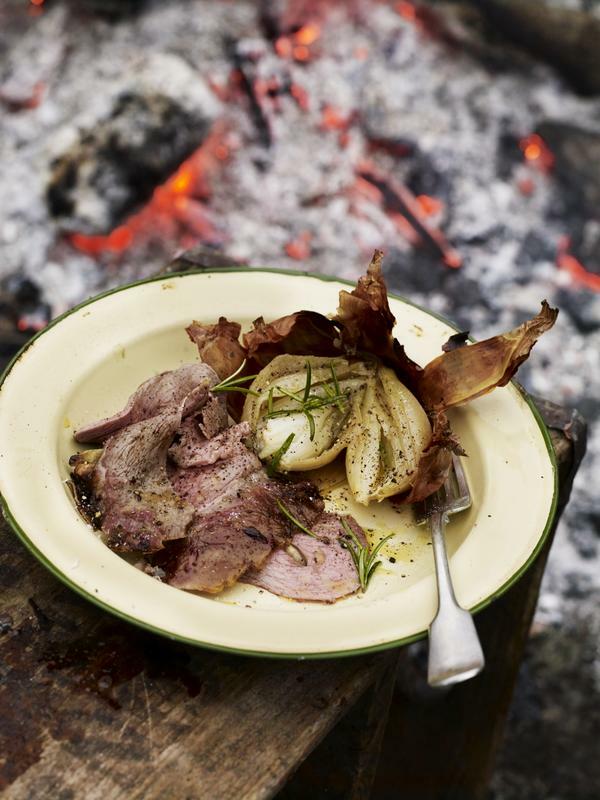 Get back to basics with an alfresco day where you’ll learn how to master the wood fire and cook delicious fresh food, in a rustic stripped-back style. 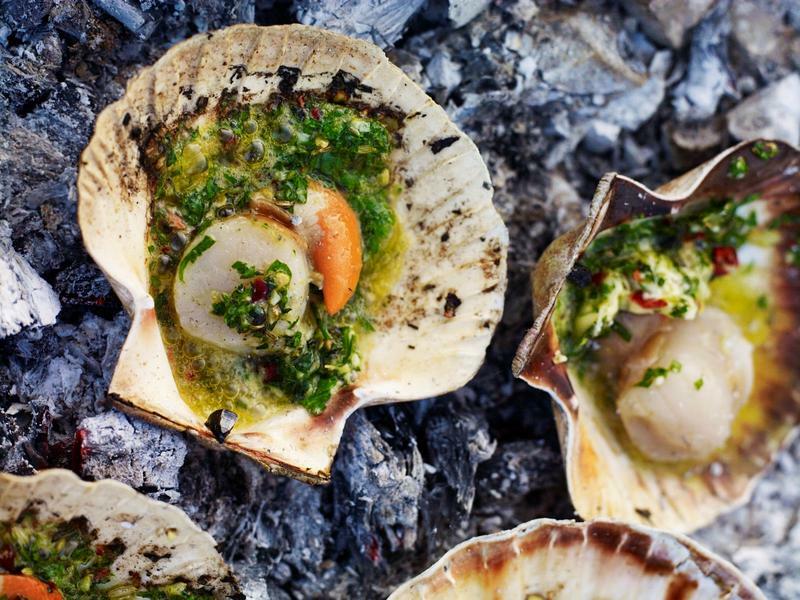 Gill, or one of our River Cottage chefs, will equip you with the skills needed to cook outside in a variety of ways, managing your wood fire, and getting the best out of it. You’ll learn about the range of wood on offer, its individual qualities and how it can contribute to the final flavour of the food you cook. You’ll cook your own breakfast and then get to grips with trussing lamb for asado roasting, tending it in true Argentinian-style during the day, as well as roasting, smoking and cooking fish in clay and bringing it all together for a sumptuous supper at the end of the day. "Making a fire and cooking something good to eat over it, is for me, one of the simplest, and most natural ways to enjoy food. The process is timeless, I think it’s priceless and whenever I get the chance to do it, I revel in the quiet joy it brings me." 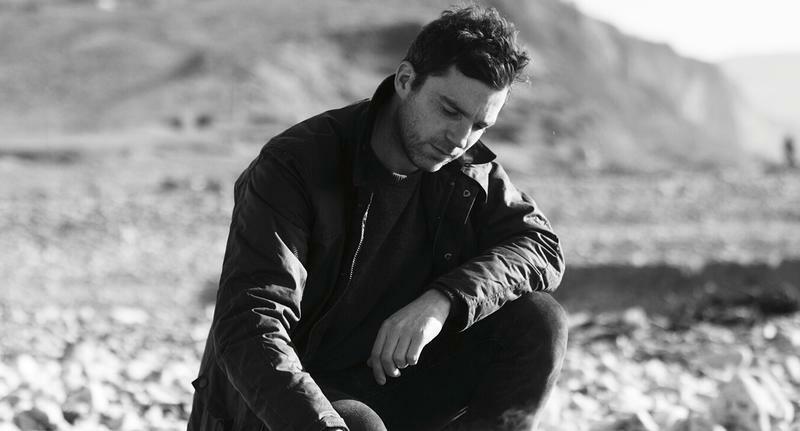 Gill Meller, author of Gather and currently writing the "River Cottage Outdoor Cooking Handbook". With plenty to eat along the way, you’ll enjoy a packed day and leave with the smell of the wood fire lingering. You will meet your host and start the day with tea, coffee and treats fresh from the kitchen. We will begin the day by looking at the principles of wood fire and charcoal cooking, the importance of wood and how to manage your fire. 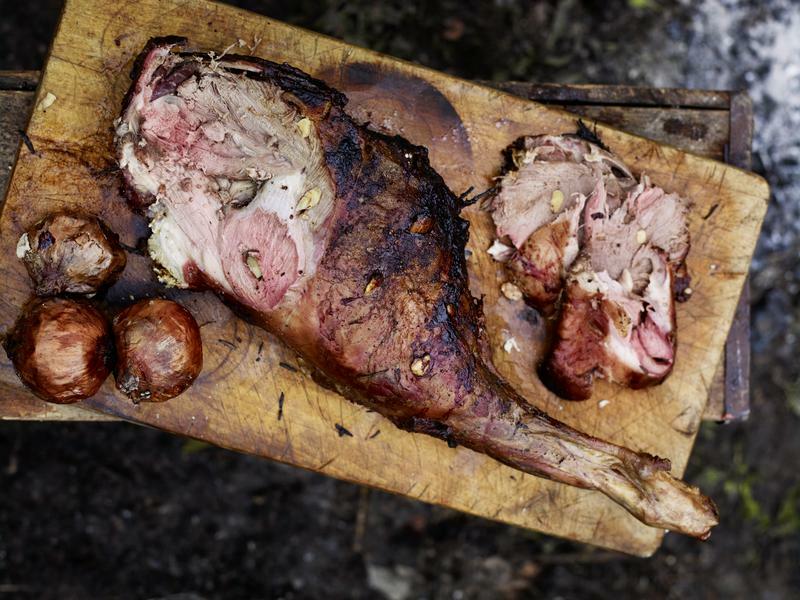 Now we'll demonstrate how to truss lamb Argentinian-style for roasting over the fire pit. Everyone will tend to the meat during the course of the day ready for your early supper. Now you’ll get chance to cook our River Cottage eggs and home-cured bacon over the fire for your mid-morning breakfast. You’ll learn how to roast whole fish on the grill over the fire pit and you’ll try this with freshly made flatbreads, roast tomatoes and salads. In two groups, you’ll learn how to salt and hot smoke fish as well as dress whole fish in clay and cook them along with seasonal vegetables in the embers of the fire. You’ll get to try all of this as part of your supper. 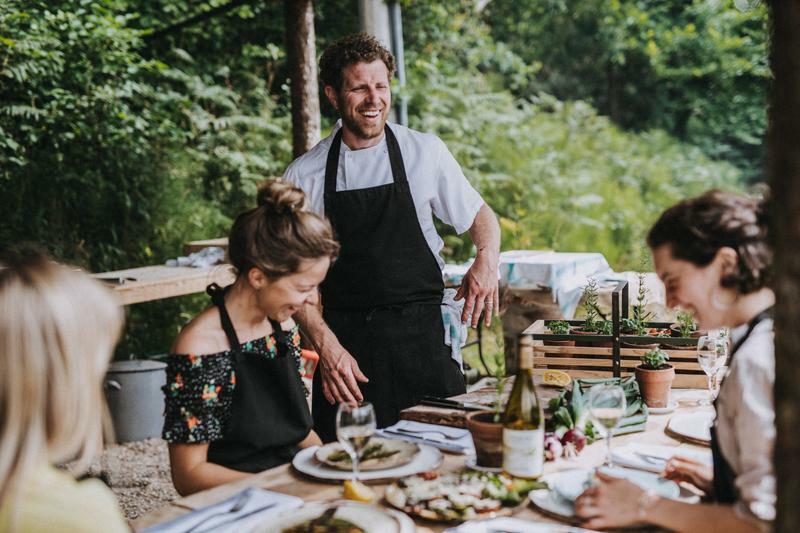 Your chef will untruss and carve the lamb, ready for everyone to help themselves to the supper feast, enjoyed set against the breathtaking backdrop of River Cottage HQ. At the end of the day you’ll be whisked back up the hill by our tractor and trailer (at 5pm), full of confidence to get cooking on your wood fire! Sorry, we’re afraid this course is not suitable for those with allergies or specific dietary requirements. However we do run Gluten Free and Veg Cookery courses. Please get in touch in you need further details.